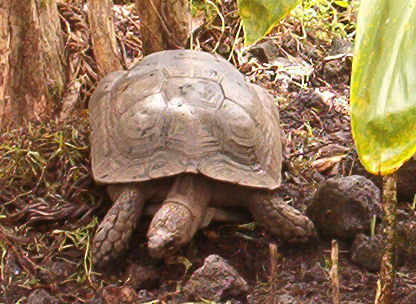 Welcome to Sean's Galapagos Tortoise Page! I have been studying Galapagos Tortoises in Miss Kurokawa's sixth grade class at Kaumana Elementary School. I want to share what I have learned with you. Galapagos tortoise Life cycle: Live more than 100 years. Habitat: Galapagos Archipelago 600 miles west of Ecuador. Description: Brown shells marked with black patterns. up to 5 feet and 700 pounds. Behavior:Peacefel,and lazy 4 or 5 in the afternoon it sleeps,7-8 in the morning it wakes up. People who use /study it:Sailor would collect galapagos tortoises and eaten during long voyages at sea. 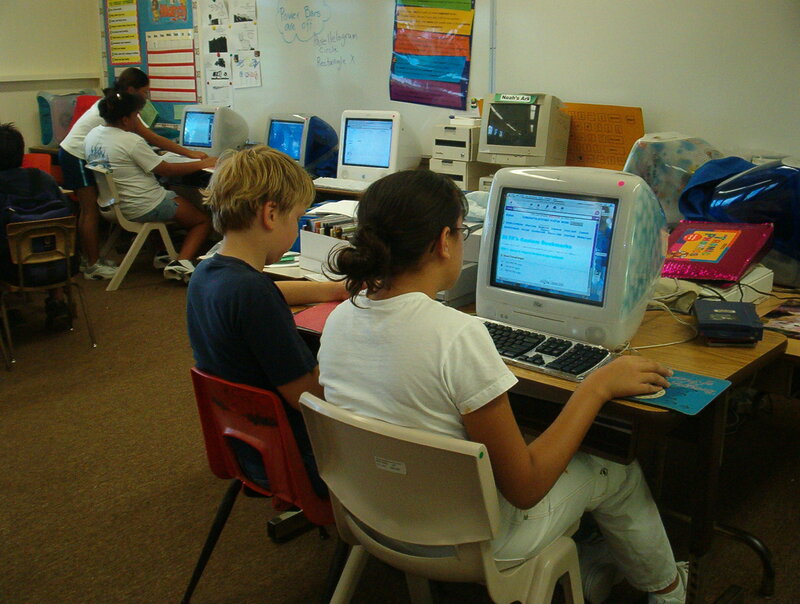 Working on research at school.